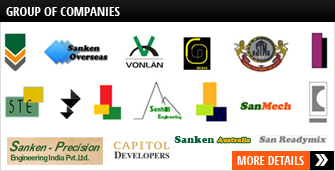 With over 30 years of experience Sanken Constructions provides innovative construction solutions . To provide reliable and best quality, professional services in the Construction Industry. Professional well trained personnel providing quality construction in timely manner. San Developers (Pvt) Ltd, an associated company provides this service professionally in a cost effective manner. Sanken Construction has a wealth of experience in the execution of various types of Civil Engineering and Building Structures. 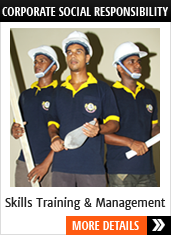 SanMech(Pvt) Ltd is an associated company of Sanken Construction (Pvt) Ltd.
Sri Lanka Engineering Excellence Award 2015 organized by the institution of Engineers, Sri Lanka was held on 26th January 2016 at Waters Edge Battaramulla. O this occasion Eng. Ranjith Gunatilleke, Managing Director of Sanken Construction Ltd received the main award for “Engineering Entrepreneur” from Dr. S.B. Wijekoon, Immediate Past President IESL While Sanken Construction Ltd received the merit Award for “Excellence in Engineering” for the category of Organizations Construction (Large) from Vidyajoythi (Prof.) Eng. K. K. Y. W. Perera, Chancellor, University of Moratuwa. We are proud to announce that Sanken Construction has been honored by a Merit Award in the construction sector at National Business Excellence Awards (NBEA) 2013. 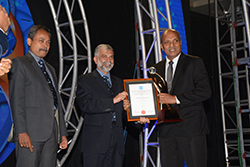 This was awarded at the award ceremony held on 27th November 2013 at Colombo Hilton.